Elderly and disabled Britons are being auctioned online by UK councils, with private care firms bidding to offer beds to them. Critics warn this ‘uncivilized’ process turns vulnerable people into commodities, and is compromising their quality of care. According to a special report conducted by Radio 5 Live, a minimum of 12 councils currently use these auction-style websites. Among those in question, are Devon County Council, Southend Borough Council, Birmingham City Council and Kent County Council. As part of this reverse tendering process, local authorities post vulnerable peoples’ personal details online, and invite bids from local care homes. In a climate of ongoing austerity where councils could see further cuts to their already beleaguered budgets, it is thought that many more will follow suit. The system has provoked outrage across the UK, with critics warning the process is akin to an online "cattle market." Others warn that vital decisions about the final years of elderly peoples’ lives are being made by software, which prioritizes low costs over quality of care. The bidding process can span anything from a few hours to several days. In the vast majority of cases, the cheapest offer wins. The new system also means the families of those in need are often unable to inspect care homes before their loved ones arrive there. At the beginning of the process, up to 100 care providers can tender bids online. Specially designed software then compiles a list of the most agreeable bids. Bidders are subsequently shortlisted and informed of where they ranked. Those who fall into second position may adjust their bid, by offering extra care services or lowering their suggested price. If the adjustment is deemed favorable, such a move can push a bidder to the top position. 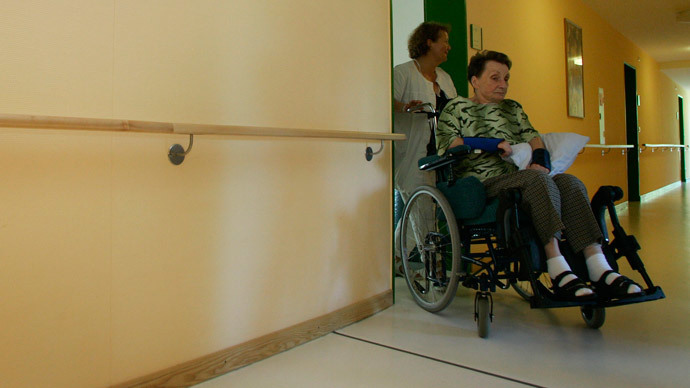 Councils claim quality of care is the most important consideration in the overall process. But figures sought under a Freedom of Information (FoI) request indicate 92 percent of care contracts on the system over a six-month period were awarded to the bidder who had offered the lowest price. The FoI request was commissioned by Les Latchman, chairman of the Birmingham Care Consortium, which represents care homes throughout Birmingham. Latchman warns the system of “reverse tendering” compromises the quality of care extended to patients and undermines ethical practice. “If you are going to keep lowering the price, something has got to give,” he told the Daily Mail. Ross Altmann, a government adviser and independent expert on care for older people, warns the rise of these auction-style sites highlights Britain’s funding crisis for elderly care. “It is awful. The idea of bidding for a person is just uncivilized. These are not parcels, they are people,” she told the Daily Mail. Care firms bidding to offer an elderly person a place are required to state which services they can offer – and at what price – before contracts are awarded. Local authorities claim the quality of patients’ care is the most important consideration. They stress patients are not forced to accept the care homes offered to them following the bidding process, and that the lowest bid does not always win. Birmingham City Council has reportedly been using this auction-style system since 2012, and claims it has slashed its spending on care services by almost 20 percent as a result. The software is called SProc.Net, produced by Milten Keynes-based firm Matrix SCM. #bbcradio5: good item on standards in elderly care homes - revealed scandal in #Birmingham where the council has gone for cheapest possible. “We only award care packages to providers who are able to demonstrate that they can meet the needs of individuals,” he said. However, Radio 5 Live’s investigation revealed that in certain cases elderly people in Birmingham were being housed in care homes that won the auction-style contracts despite being rated “zero” on scales of care quality that spanned 0-100. “It is more like Hereford cattle market than it is a caring service for the elderly,” he told the Daily Mail. 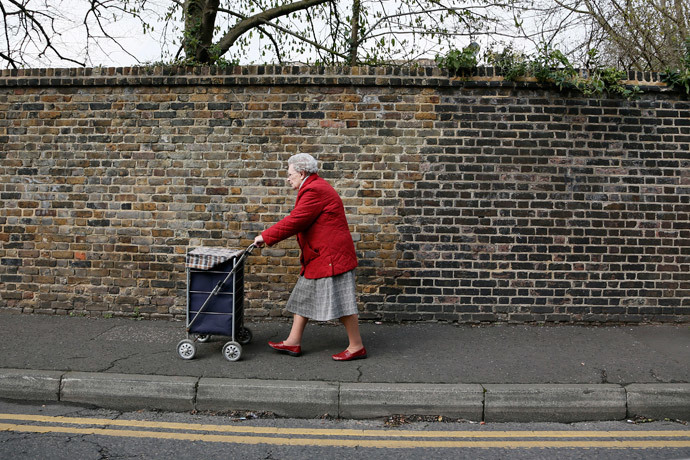 Janet Morrison, chief executive of UK charity for the elderly Independent Age, told the paper the system of reverse tendering risks commodifying vulnerable older people. “We are concerned that older people’s needs will lose out to price as the main reason for selecting a home,” she added. In 2014, Matrix SCM claimed it was in negotiations with 30 local authorities on the prospect of using its software.